U.S. Men's Soccer Is On A Roll — All The Way To Rio? August 4, 2013  The Americans put on a show at the Gold Cup tournament, outscoring opponents 20 goals to 4 and stretching the team's win streak to 11 games. Even if that doesn't exactly send a chill through the rest of the world soccer community, it's enough to gives U.S. fans real hope for the 2014 World Cup in Brazil. July 7, 2013  Brazilian police have made an arrest in a grisly incident during a soccer match, in which a referee's leveling of a red card penalty set off a clash with a player that resulted in the player's death and ended with the official being brutally killed. June 20, 2013  Thursday's game against Spain was played in a stadium holding a crowd reported at 71,000 people — equal to a bit more than a quarter of the total population of Tahiti. The Pacific players have already met a goal, scoring against Nigeria. 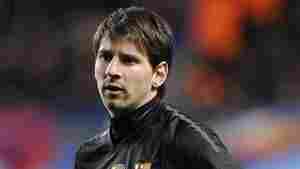 June 12, 2013  The best soccer player in the world today has been accused in Spain, where he plays for Barcelona FC. A prosecutor says false tax returns were filed. So far there's no comment from Messi or his father. May 16, 2013  David Beckham, who starred for Manchester United, Real Madrid, and England's national team before heading to the United States and Paris, is retiring at age 38. The news was confirmed Thursday by England's Football Association. He appeared for England in 115 games. 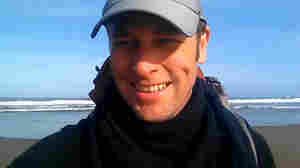 May 15, 2013  Tributes are appearing online for Richard Swanson, the Seattle man whose plan to dribble a soccer ball all the way to Brazil to raise money for charity ended Tuesday after he was struck and killed by a pickup truck in Oregon. May 9, 2013  David Moyes will be succeeding the world's most famous soccer coach. 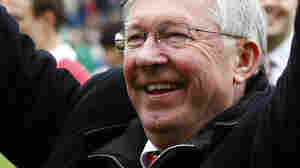 Alex Ferguson announced this week that he'll retire at the end of the season. 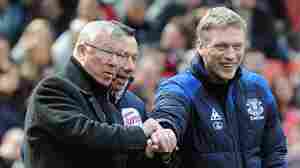 Moyes has led the English Premier League's Everton club since 2002. May 8, 2013  The 17-year-old soccer goalie who allegedly punched and killed a referee during a game in Utah last month faces a charge of "homicide by assault" and may be tried as an adult. 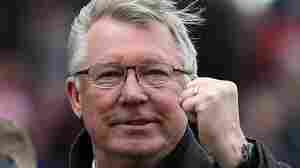 May 8, 2013  Alex Ferguson, who is stepping down after 27 years at the helm of Manchester United, is widely regarded as the most successful British soccer manager ever. May 8, 2013  The soccer club's manager will retire later this month. Arguably the most famous coach in the world, he's been in charge as Man U has become one of the most valuable and successful sports franchises on the globe. 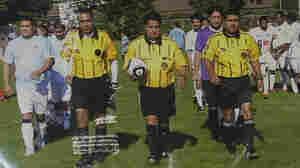 May 5, 2013  A soccer referee who was punched by a player after calling a foul on him during a recreation soccer game in Utah died Saturday night, one week after he sustained the injury. The suspect, 17, who received a yellow card penalty from referee Ricardo Portillo, was arrested Monday. April 30, 2013  After sustaining what seemed to be minor injuries, the official later lost consciousness. The teenager was arrested Monday on suspicion of aggravated assault. 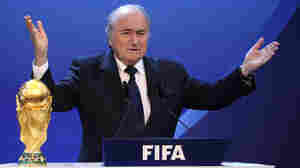 April 23, 2013  FIFA's efforts to rehabilitate its tarnished public image were dealt twin setbacks Monday, as the Twitter account of the international soccer federation was hacked and used to send a message joking about corruption. And a member of its reform committee quit, saying their work was pointless. Did Team USA 'Win' Its 0-0 Match With Mexico? March 27, 2013  Mexico City's Azteca Stadium has been "a house of horrors" for the Americans. Tuesday's tie with Mexico, though, gives Team USA a much-needed point in World Cup qualifying standings. So is ending nil-nil actually a big plus? Is Mathematics A Criterion For Truth In The Natural World? March 13, 2013  Is math a truth or a human invention? In this age-old question lies an interesting analogy with sports, and perhaps a resolution to the conundrum. Updated with sources for further reading on the math as invention vs. discovery controversy.